ACCIONA Energy is a major player in the renewable energy market, with a strong presence in over 15 countries on five continents. The company works exclusively with renewable technologies, specifically in five of them — wind, solar PV, solar thermal, hydro and biomass. It has nearly 8,600 megawatts (MW) in property which annually produces more than 21 terawatt hours (TWh) of emissions-free electricity, equivalent to the consumption of more than six million homes. The company also undertakes projects for third parties, for which it has installed nearly 2,000 MW. ACCIONA carries out projects both for the company and for third parties. Based on its experience of over 20 years in the field of renewable energy, the company provides reliable and efficient solutions based on cutting-edge technologies. ACCIONA makes its technological capabilities available to customers at any stage of a wind or PV project, from resource assessment, processing, engineering, design, construction, operation and maintenance, which includes all the services included in EPC (engineering, procurement and construction) contracts or other types of contract. ACCIONA Energy is a global leader in the promotion, construction, operation and maintenance of wind facilities, with more than 20 years of experience in the sector. The combination of its leadership and knowledge of the sector have established ACCIONA Energy as a global provider of products and services in all aspects of wind energy. They have installed more than 7,000 MW in property and nearly 1,900 additional MW for clients. ACCIONA Energy has extensive experience in the construction of photovoltaic plants. It has installed 234 MWp for itself and for its customers. The company has built the biggest photovoltaic plant (24 MWp) in Australia at Royalla (near Canberra) as a contractor for FRV. The 94.3 MWp Sishen plant in South Africa stands out, as it has the highest level of production on the African continent. ACCIONA Energy has its own technology for the design, construction, operation and maintenance of parabolic trough plants, with 314 MW in operation across six thermosolar plants (five in Spain, with 50 MW of power for each one and one in the US, with 64 MW of power). ACCIONA Energy is linked to the upgrading of small hydroelectric plants with decades of operation and leveraging their full value; it also has a long and successful history of building new plants and evaluating the resource in design, construction and O&M. The major hydroelectric generation park of the company, estimated at 888 MW, places this technology in second place of installed power after wind energy. ACCIONA Energy has extensive experience in the field of biomass, both in terms of fuel supply logistics and the operation of plants which produce electricity. ACCIONA Energy has three fully operational biomass plants, all of which stand as a benchmark in biomass-fueled power generation totaling 61 MW located in Sangüesa (30 MW), Briviesca (16 MW) and Miajadas (15 MW). Thousands of MW currently being developed or undergoing administrative proceedings; present in 46 countries and with regulatory experience in more than 30 countries. Fully acquainted with finance mechanisms and co-investment solutions, and additional development services (WTG sales, EPCs, O&M, etc.). Over 10,000 MW in renewables, in own projects and for third parties. 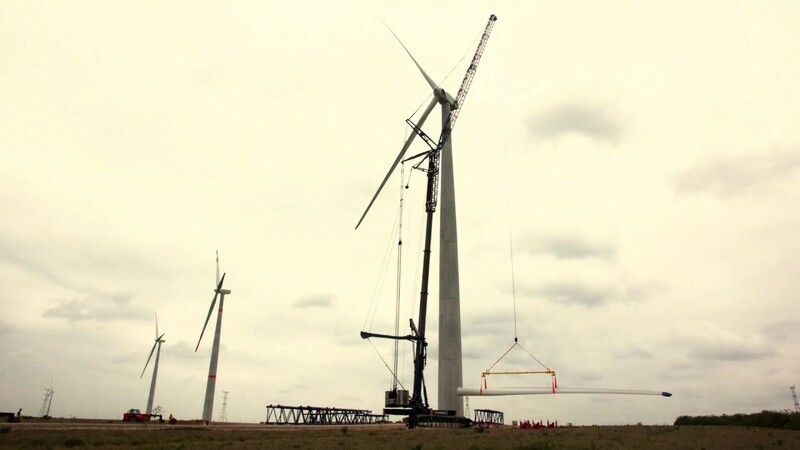 An industry benchmark in construction methodologies and has set the bar in the wind power sector. A pioneering force in integrating the environment variable in projects. ACCIONA Energy has 9,000 MW of fully-operational renewables facilities currently on its books. We are a trailblazer in tech solutions related to grid-connection of renewables, adaptation to power peaks and dips, and extremely accurate prediction models. We have the world's largest renewables control center. Through its subsidiary, ACCIONA Green Energy Developments, ACCIONA Energy markets 100% renewable energy to end-customers. It also manages the sales of electricity produced by the group’s facilities as well as electricity generated by other renewable producers who rely on the experience and technical capacity of ACCIONA. Waubra Wind Farm is located approximately 35 kilometres north-west of Ballarat in Victoria. 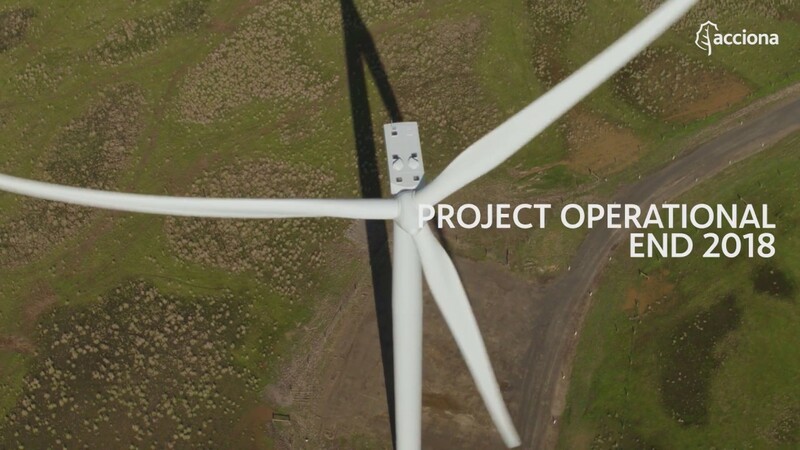 At peak, the wind farm can generate enough green energy to power more than 120,000 homes or enough electricity for the City of Ballarat and surrounding areas. ACCIONA Energy is progressing to the next stage in the development of the Mortlake South Wind Farm. The wind farm will be constructed along an elevated ridge exposed to consistent winds across the open Mallee Plains to the north and west. Planning approval was originally granted by Buloke Shire Council in 2007. In 2014, the Buloke Shire Council approved an amendment to the planning permit to allow for the use of contemporary wind turbine technology. ACCIONA Energy has recently received an extension of time to commence construction of the Berrimal Wind Farm from Buloke Shire Council.